How do active people keep up their exercise routines despite the stiff necks, back aches and muscle soreness? Why are some of the busiest people able to start each day seemingly refreshed and high-spirited? What allows these people to de-stress after a heavy day at work and come back reinvigorated the very next day? Hydrotherapy might just be the answer to all that. 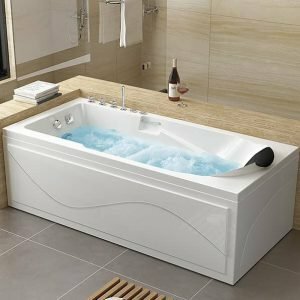 Jacuzzi Bathtubs or Whirlpool Bathtubs are built with a great number of special features, from the aesthetic customised seats to the set of powerful water jet pumps. 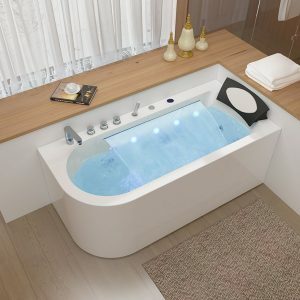 If you are suffering from rheumatism or any other muscles or joint pains, this is the very bathtub for you. Simply soak for several minutes in a Jacuzzi and you will begin to feel the effects of the water pressure on your sore joints and muscle groups. The settings are customisable and you can even programme your preferred settings to target the sore muscle areas. A unique hydro-therapeutic experience is what awaits you in this multi-feature bathtub. 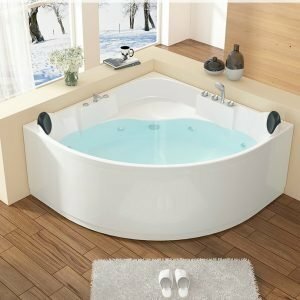 Why get a Jacuzzi bathtub?